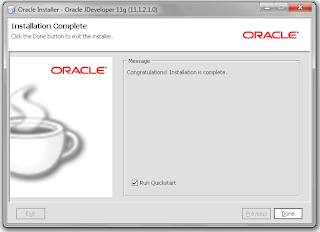 In previous post I show the Installation process of Weblogic server. This post is in continuation. 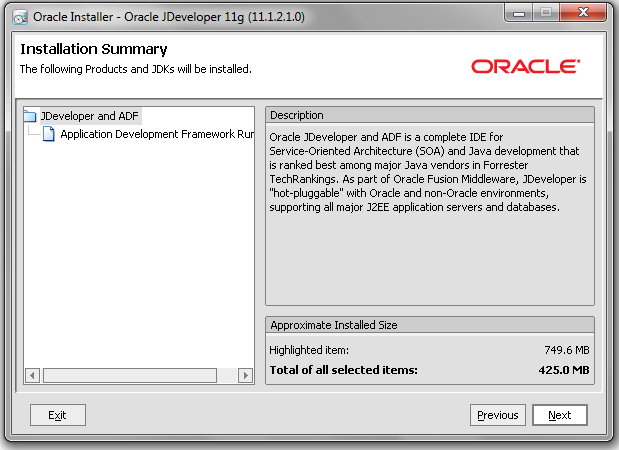 Now to run ADF application on weblogic server first we have to install ADF runtime in to Weblogic server. 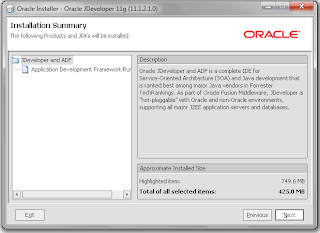 This will provide needed ADF library in weblogic server so that ADF application can be deployed in to the server. 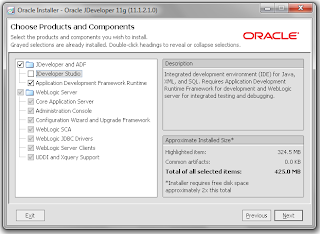 ADF run time is not installed in to weblogic server autometically, it is done manually. 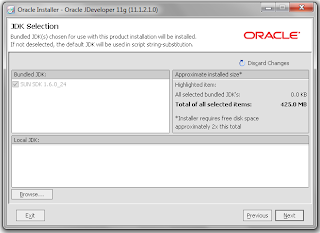 To do this we need Jdeveloper installer. Run Jdeveloper Installer in welcome screen click next to start setup. 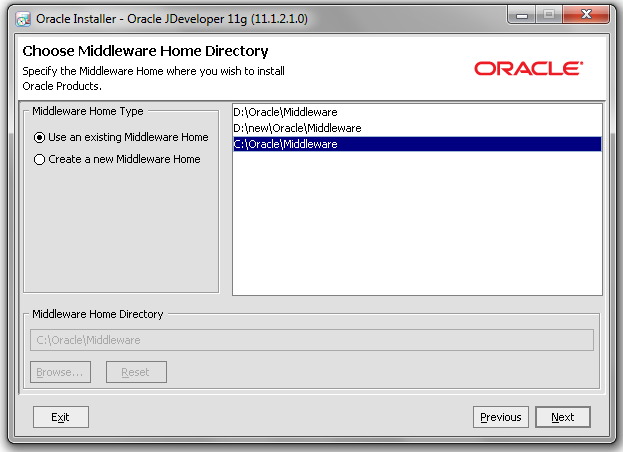 Go to next screen , this will show option to select existing middleware home or to create a new middleware home. Choose an existing home where weblogic server is installed. 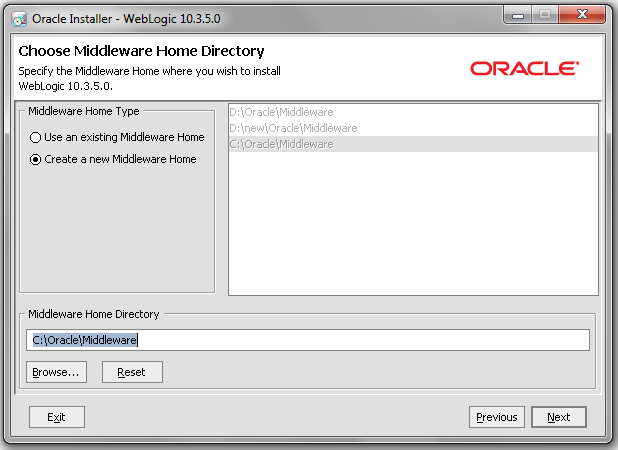 Here home for weblogic server is (C:\Oracle\Middleware). Then click next. 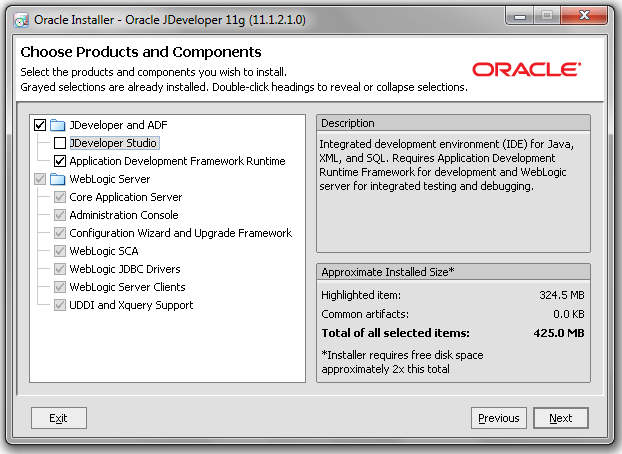 This screen shows Components this installer can install. 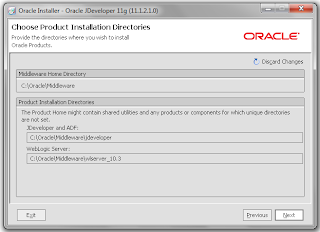 Weblogic server component will come disabled as it is already installed in this middleware home, we just need ADF runtime, So we will select this option . 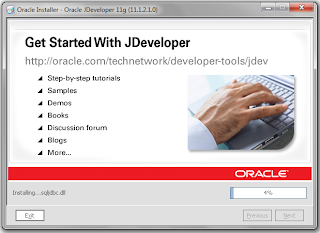 No need to install jdeveloper. Click Next to proceed. 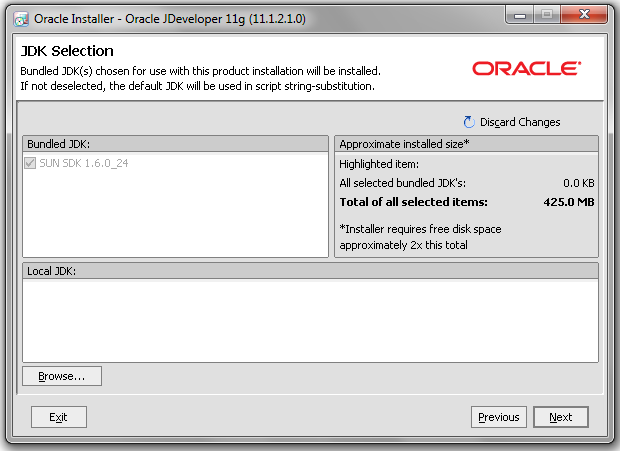 On JDK selection option, SUN SDK already selected as weblogic is installed with SUN SDK. So simply click next in this step. 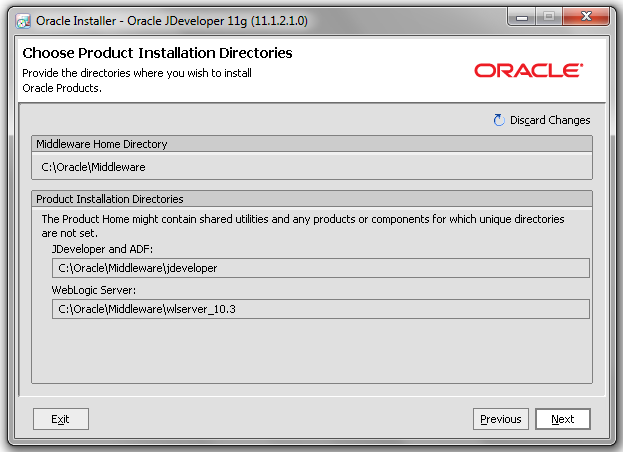 Next step is for selection of installation directory. 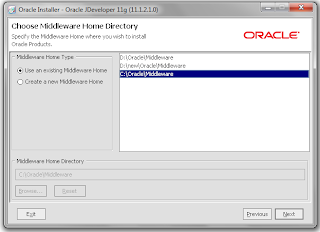 As this middleware home is created previously so skip this step and press next button. 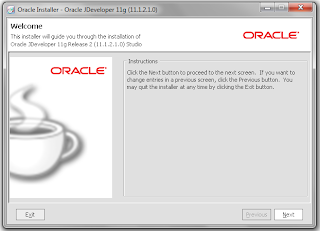 Now screen is showing installation summary. Click next to proceed. 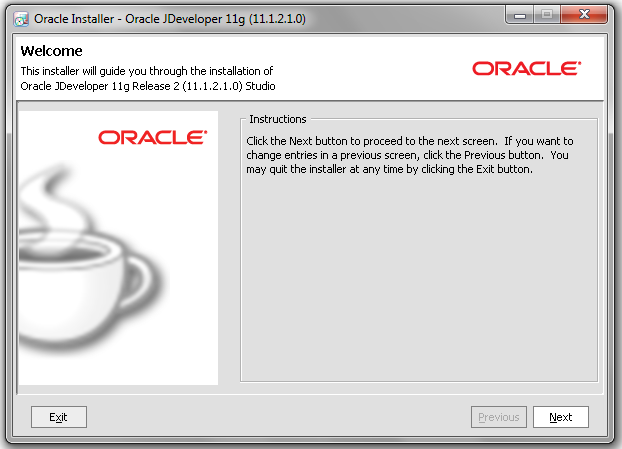 Now installation process is started . At the end installation is complete message comes. 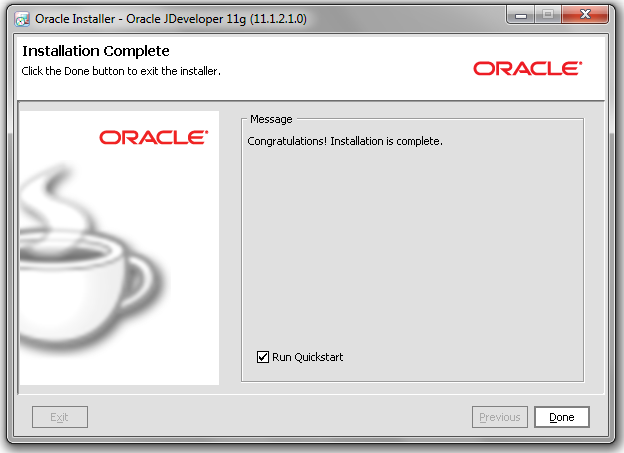 Click on done button will exit the installation. Weblogic server is now ready for ADF application Deployment. Next step is to Create a new domain in weblogic server for production mode.